A deep look at how the payday loan industry is able to keep advertising despite Google's policy changes. 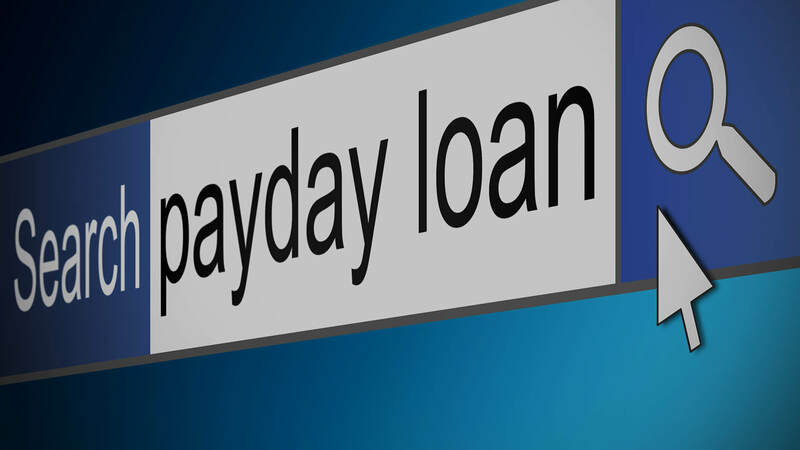 To consumer advocates, payday loans have become synonymous with predatory lending. The small short-term loans often come with astronomical interest rates that can pull consumers who are trying to get by from paycheck to paycheck into a deepening hole of debt. Just this week, the FTC fined a payday lending group $1.3 billion for deceptive loan practices. Industry watchdog groups have been advocating for more regulation and pressing for change, and in May, Google announced it would start to ban payday and high-interest loan ads. The ban started rolling out the week of July 20. There were estimates the move could cost Google millions in lost ad revenue. Yet, more than two months later, it appears the ban is likely having little to no impact on Google’s bottom line. as ads continue to fill the available slots on desktop and mobile. Why? Because it’s not an actual ban, and the advertisers quickly figured out how to change their messaging to meet Google’s policies. In a review over the past month, I have found advertisers showing messaging on landing pages from Google ads that complies with the new restrictions (APR rates no higher than 36 percent and minimum repayment period of 60 days). But the fine print shows the ranges shown on the landing pages are essentially just a way of getting around payday loan policy. And fine print isn’t the only way the companies are evading the rules. With very few exceptions — Discover Personal Loans and CashNetUSA being two — the advertisers are lead generators, or loan brokers, which means they aren’t doing the actual lending. By being one step removed from the actual lending process, these advertisers can list terms that fall within Google’s payday loan policy on their ad landing pages without having to actually be beholden to those terms. The terms listed on the landing pages (often in fine print at the bottom of the page) from the lead generators’ advertising varies, but often you’ll see some terms that fall within the range of Google’s policy, but when read carefully, make clear that the actual APR could vary outside that range (i.e., higher). Here are just two examples (bolding is mine). The loan calculator on the QuickLoanTree.com landing page also shows a different APR depending on how a user gets to the landing page. The APR of 5.99 percent shown above appears when coming from an AdWords ad. Click from an organic listing on Google or an ad on Bing, however, and it starts with an APR of 6.30 percent. I tried calling QuickLoanTree several times to ask about the terms, and each time I got an automated message that said, “There are no loan agents to assist you over the phone,” and directed me to a different website that I was never able to catch the name of. In looking at dozens of ads, I only found one that listed terms that directly violate Google’s payday loan policy on its landing page. WeLend2U.com shows an APR rate range of 35.80 percent to 4,999 percent (that’s a comma, not a period) from an AdWords ad on moble. I’ve seen this off and on on mobile for several weeks. Ads for LoansOnline.direct and LoansForSuccess.com landed on nearly identical pages, from the image to the headline and lead form. It’s not clear if LoansOfSuccess set up LoansOnline.direct or if LoansOnline.direct copied the site. LoansOfSuccess.com is registered in the US, and LoansOnline.direct is registered in Panama. CashNetUSA is a direct lender that I found using various tactics to attract customers. Below is an example of a call-only ad the company used with the domain name personal-loan.phoneloans.us and a headling stating “PayDay Loans Over Phone” after the phone number. Call-only ads do not link to a website. Clicking on the ad prompts the user to call the business on their phones. When I called the number and was told I had contacted CashNetUSA, I asked if I could get a same-day loan if I qualified. The agent said their loans are paid out next-day, unless I was a Wells Fargo customer, then I could get it the same day. Wells Fargo is one of the commercial banks that provides the capital for CashNetUSA loans. This call-only ad from personal-loan.phoneloans.com connects to a CashNetUSA call center. While not specifically ad related, the other area where I found CashNetUSA using less-than-transparent practices is in Google Maps. Google Map Maker allows anyone to add a business to Google Maps, and the feature can be abused. When I search for “payday loans,” the local pack of results in my area displays one verified location for RepubliCash and two unverified listings that look like Google Map Maker spam. I tried calling My Maine Payday since the number is local. The message? “Sorry, but the user’s mailbox can’t accept more message.” Then I turned to Payday Loan in Portland and went down a rabbit hole. I clicked on the website link and ended up on maine-payday-loans.xyz/location/portland.php. The phone number on that landing page was the same as the number listed in Maps. It connected to CashNetUSA. The agent, not surprisingly, said he did not know why there was a local listing on Google Maps that connected to CashNetUSA because “we are an online only business headquartered in Chicago”. By the way, here’s what CashNetUSA lists for the actual APRs for payday loans in my area on its website. By working the system, these companies have made it increasingly hard for consumers to make educated decisions. Within Google’s own search results — ads, local listings and regular organic listings — the offers consumers see can vary. The payday loan ad ban applies to ads only. This is an industry that has considerable lobbying power. It is currently fighting the Consumer Financial Protection Bureau’s proposed rule to address the debt traps that often occur with these types of loans. The National Association of Federal Credit Unions is among the groups pushing back on the proposed changes. In some ways, Google’s efforts to crack down on predatory lending within its ads has only acted to further mask the actual workings of these companies as they keenly adapt to the policies without having to change practices. And it’s yet another game of whack-a-mole for the search giant. I’m told that since introducing the policy change, Google has disapproved more than three million policy-violating ads before they could enter the ad auction and has taken action on thousands of advertisers’ accounts that were in violation of the payday loan policies. The implementation of the new policy is only a few months old at this point, and Google is sure to continue to fine-tune how it gets implemented on the back end. Whether it will have a material effect on consumers remains to be seen. Google certainly has its part to play — and is still benefiting financially from these advertising practices — but in many ways, this is much bigger than a “Google problem.” And it’s is one of those cases where Google and Bing (and others) should be encouraged to coordinate on ad policies in the interest of consumers online.